This entry was posted in Japan, Tourist information and tagged Belgian endive, chicori mura, Chicory, Chicory Village, Daily life, Food and drinks, Impressions of daily life, Life in Japan, Strange Japanese things, Vegetables, Weird Japan by Haruko-chan. Bookmark the permalink. May be I can help ? My name is Junko. I am Japanese living in Holland. I am importing Japanese products from Japan. I just receive the brochure about Chicory Shochu (Alcohol) from our HQ. Quite interesting and start searching more them, then find this site. Hi Junko, I will put you in touch with Robert. I’m not sure if he is still working on his thesis, but you never know! At this moment I’m writing my thesis for a Dutch Chicory company who wants to export it’s products to Japan. 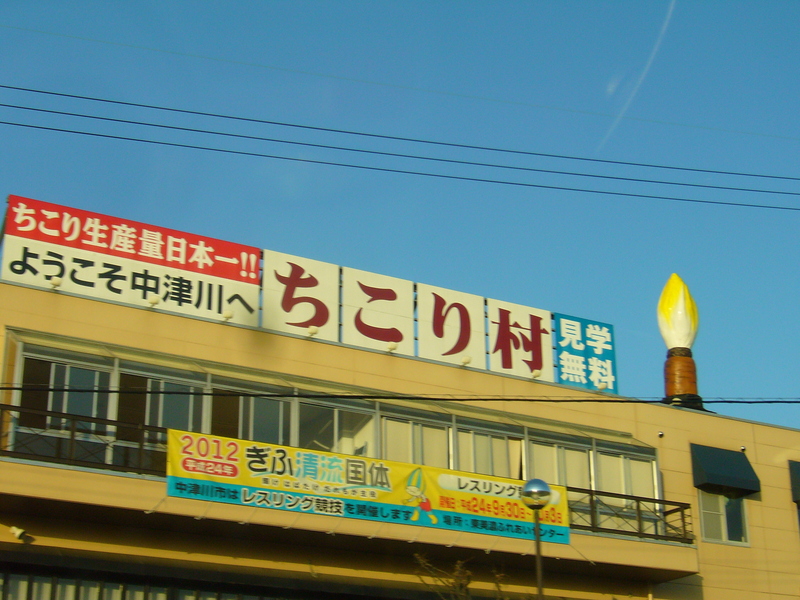 I really love your story about this Japanese chicory city! Can you guys help me to get in touch with them? I prefer in English because I can’t understand Japanese what so ever. Would be great! I love that you are doing a chicory related thesis! Unfortunately I can’t help you to get in touch with Chicory Village. I don’t read or write Japanese and I don’t know anything about Chicory Village other than what I wrote in my post. Maybe you could try searching their website for a phone number and call them in the hopes that someone over there speaks English? Or send them an e-mail in simple English. If you are trying to make sense of a Japanese website, I recommend the plugin Rikaichan for Firefox. With this plug in enabled, you get the translations of Japanese words if you hover over them with your mouse. Thank you for all the tips! It’s not that easy to get to the core of my thesis, but this can help. yes, this is one of the many reasons i enjoy going to places outside the big cities. you never know what you may get to see. plus, japanese love to specialize in something. and so whatever you find, you know you are getting the best possible quality of product. I completely agree. I love that quality is the norm in Japan, and not an exception like in Belgium. i think this is the same case all over the world. which is why i always enjoy visiting japan. So funny. I haven’t gone to the site yet but I think what they may be trying to do is promote chicory which is not the most popular vegetable in Japan as much as possible. Nowadays at least in Tokyo, you will find it in any supermarket but it could be pricey and it’s not something we must have in our salads and if you’ve never come across it, you’d go w/o it. I love chicory but I guess I don’t buy it that often.